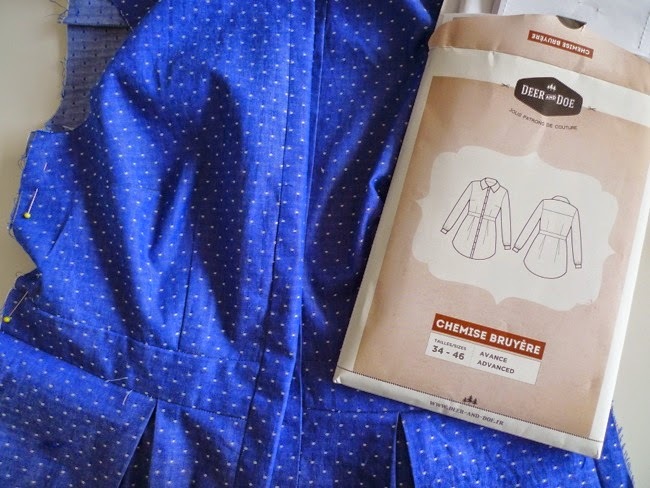 As soon as I saw the Bruyère shirt (shirt? dress? shirt dress?) by Deer and Doe I knew I had to make it. I love wearing leggings and jeggings (sincerest apols if that word offends you), but on the other hand I don't think the world is ready for this jelly in lycra. So the tunic length booty coverage on this pattern seems like the perfect compromise between comfort and dignity. Plus I just love the overall design - a feminine shirt that isn't too girly. 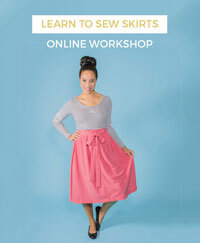 I'm making it in a deliciously soft cotton chambray by Robert Kaufman, which I bought from M is for Make. As I was cutting this out and stitching it up last Sunday, Rachel was sitting next to me making some trousers in a different colourway of the same fabric. 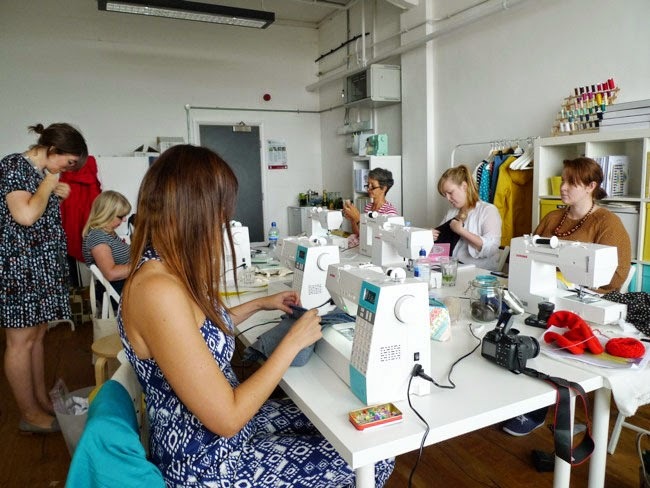 For what better way to warm the new studio than to invite a bunch of sewing pals round to get the sewing machines out of the boxes for me for a social sewing session? Or, as Rachel called it in her best Cribs presenter style, Studio Takeoverrr! 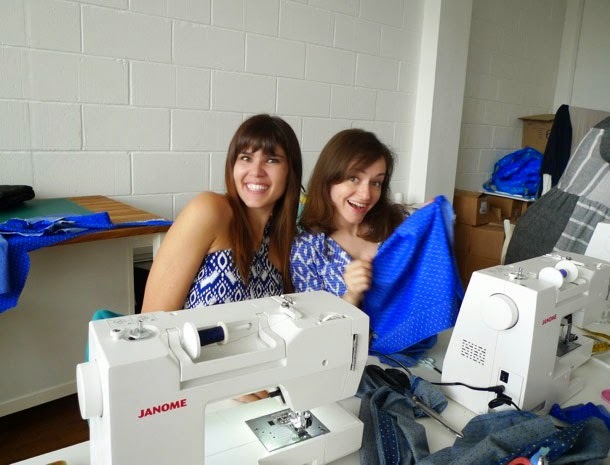 When I started this blog, I didn't know anyone who shared my passion for homemade fashion. Five years later I've met so many awesome people through reading sewing blogs, blogging myself, and going on fabric shopping meet-ups, many of whom have become real friends. 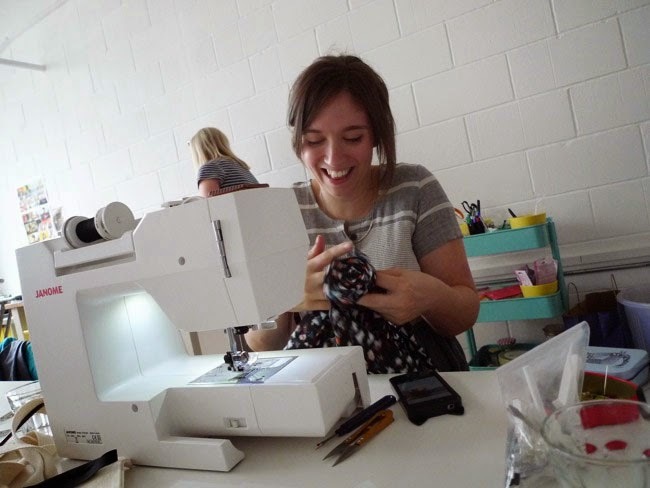 Sewing solo is good enough as it is. 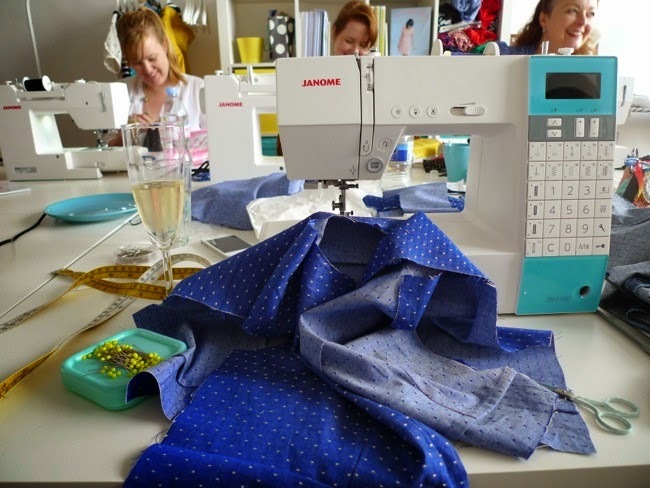 But being surrounded by these lovely ladies, some sewing machines, Jane's homemade sausage rolls and an atmosphere of conviviality and giggles, was the perfect way to spend the day. 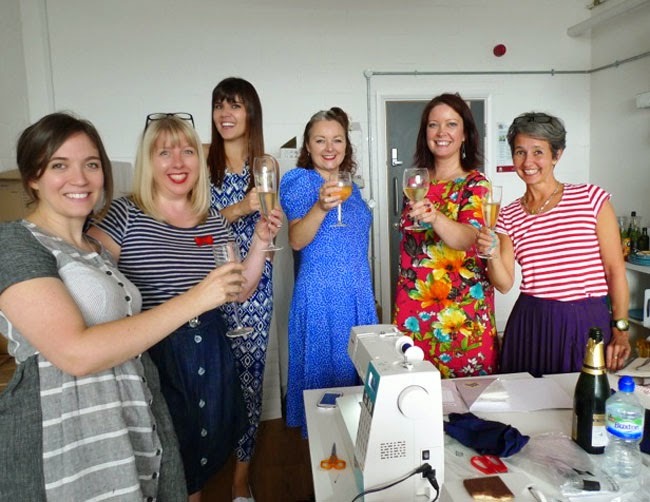 Have you ever had a sewing social? 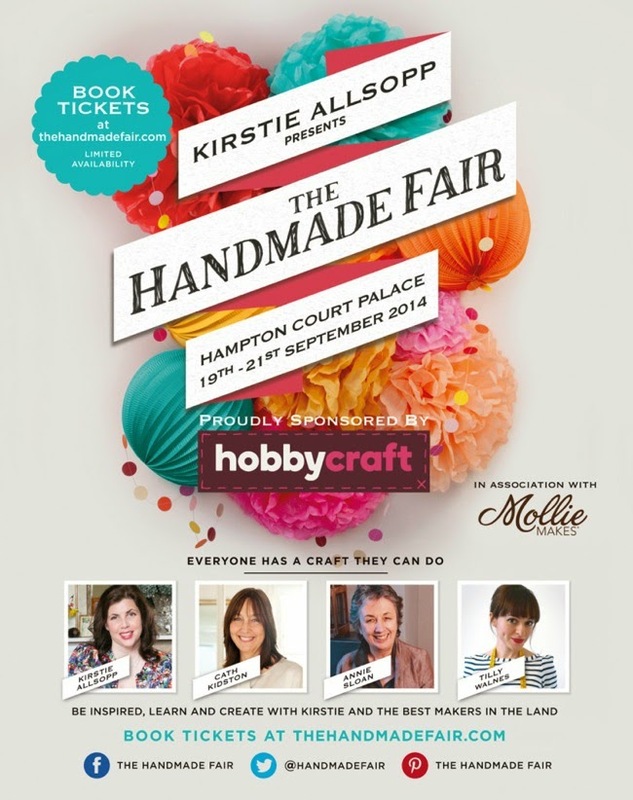 Ooh and finally - by the time you read this, I'll be at Hampton Court Palace for The Handmade Fair, teaching 240 people (mercifully not all at the same time) how to thread a sewing machine. 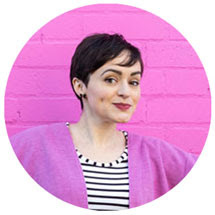 If you see me there, please do say hello, I always love to meet blog readers! I'll be there Friday, Saturday and Sunday, in the Janome sewing tent for the majority of the weekend, popping up for air/food/the loo occasionally and definitely going to the Quadrille stand at 3.15pm on Saturday to sign some books. Hope to see you there!